Hundreds of people are expected at the State Capitol to educate legislators about the threat of lead. 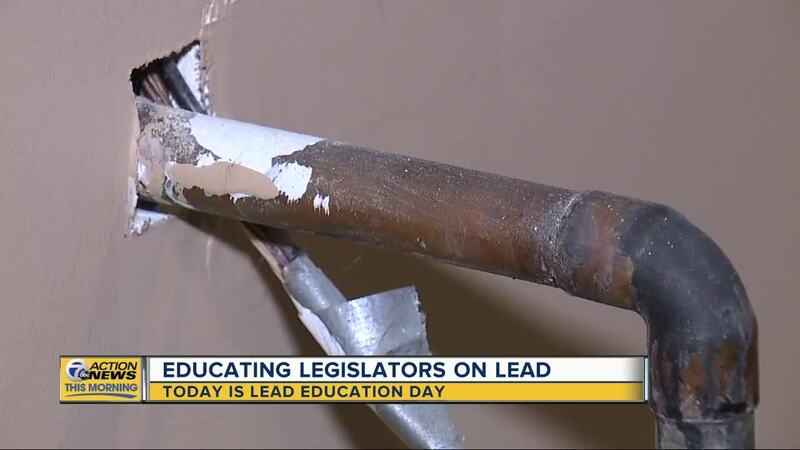 LANSING (WXYZ) — Nearly 100 legislators will get an in-depth education on lead, and ongoing harmful effects in Michigan, as part of Lead Education Day on Thursday. The Michigan Environmental Council has carved out an ambitious day of face-to-face meetings with legislators and aides to get across key messages: the need for universal testing, a call for laws to force lead disclosure during the home buying/rental process and a call for additional funding. Reynolds admits, that doesn’t come without a cost. As we learn more about dangerous chemicals in our air, water and everyday items — it can seem like an overload. However, Reynolds noted that nearly a decade into education on lead with the “education days” at the capitol there has been a change in their reception. Years ago Reynolds said they’d get confused looks and head scratching when they explained how lead is affecting the state, and our children. These days they’re getting educated questions as publicized health issues have become more well known. In Michigan there’s plenty of information available through the Michigan Department of Health and Human Services about lead in paint — an issue in both private homes, and rental homes. You can also find information through the MEC, here. While lead has become a problem that’s understood — that doesn’t mean finding funding for some of the bigger “asks” MEC is making. Reynolds noted that there’s money that was proposed in past budgets that doesn’t appear in this year’s budget. And despite more awareness for environmental issues, it’s also hard to find funding for programs that would meet the needs of an entire state for things like universal testing. She is, however, encouraged by pilot programs that are already being worked on that could find solutions. A sign that the focus is shifting from reaction to prevention when it comes to lead issues in Michigan.